If you’ve been in my classes or taking training sessions, you may have met or heard me talk about my senior dog, Monday. She is on the hindermost of 15 years old, and this means I have become more aware of the special attention our senior pets need to be happy and healthy. There has been extensive research on the problems facing older pets and how we can best handle their special needs. 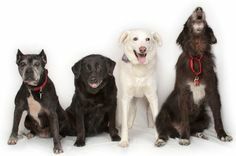 Every pet ages differently based on species, breed and individuality. Increased veterinary care– Geriatric pets should have more frequent veterinary visits so signs of illness or other problems can be detected early and treated. Diet and nutrition– Geriatric pets often need food that is more readily digested, and has a different calorie count and list of ingredients, as well as increased joint care supplementation. Weight control– Weight gain in geriatric pets increases the risk of health problems, whereas weight loss is a great concern for geriatric cats. Parasite control– Lower immune systems can result in less ability to fight off diseases or heal as fast as younger pets. Maintaining mobility– Keeping older pets moving through appropriate exercise helps keep them healthier and more mobile. Vaccination– Your pet’s vaccination needs may change with age. 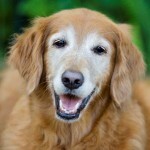 Talk to your veterinarian about a vaccination program for your geriatric pet. Mental health– Pets can show signs of senility. Stimulating them through interactions and enrichment can help keep them mentally active. Environmental considerations– Older pets may need changes in their lifestyle, such as sleeping areas to avoid stairs, more time indoors, etc. Before any medical signs become apparent, behavioural changes can serve as important indicators that something is changing in your older pet, which may very well be due to medical reasons. Once any underlying causes have been ruled out, there is a chance your pet may be experiencing cognitive dysfunction. While research has yet to identify any genetic cause of why certain animals develop cognitive dysfunction, there are drugs and specific diets available that can help manage it. Working with your veterinarian to find a drug medication that helps relieve the pain. Nonsteroidal anti-inflammatory drugs (NSAIDS) are the most common treatment for arthritis in dogs. These drugs are similar to ibuprofen, aspirin, and other human pain relievers. Do not give human medications to your pet without first consulting your veterinarian. Some human products can be fatal for pets. Nutraceuticals, such as glucosamine and chondroitin or Omega fatty acids. Both have shown to help relieve the symptoms of arthritis in dogs. Diets with special supplements such as Hill’s j/d may also help decrease the discomfort and increase the joint mobility. Changes in the home environment may also help you deal with an older pet who is experiencing stiffness and/or pain. Orthopaedic beds, steps or ramps to help an animal up to higher places raised feeding platforms, etc. can help make your arthritic pet’s life more comfortable. Overall, we should not merely assume that our ageing pets are “just getting old.” By recognizing the early signs of disease we can take action to make our pets more comfortable and hopefully slow the progression of any disorders so that we can make the best of our pets’ golden years.